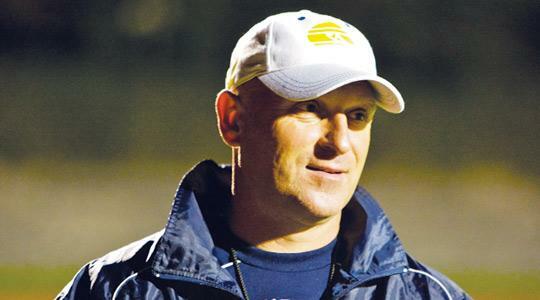 Not many in Malta had heard of Dusan Fitzel when he was unveiled as the new national coach and MFA technical director on January 16, 2006. The Malta job represented Fitzel's first foray into senior coaching as, prior to his link-up with the MFA, he had occupied a multitude of roles within the youth sector of the Czech FA. Despite being equipped with a UEFA Pro Licence badge, Fitzel's appointment initially met with a lukewarm reception as some critics questioned the choice of a 'novice' to take charge of the national side. "I am taking up this job with an open mind and it's my wish to have a fair and open relationship with the players as well as the media. I will try to carry out my duties to the best of my abilities," Fitzel had told reporters at his unveiling. Almost four years after that introductory news conference, Fitzel will this morning officially close the Maltese chapter in his coaching odyssey when he returns home in search of pastures new. Like most of his predecessors, Fitzel presided over more defeats than victories as Malta coach but he has also experienced some extraordinary highs. In the Euro 2008 qualifiers, Malta grabbed the headlines with a 2-1 home win over Hungary. On September 8, 2007, Fitzel and his charges did the country proud with a two-all draw against Turkey. "The Turkey game was fantastic," Fitzel reminisced. "The stadium was packed and the atmosphere was unbelievable. "Not many people mention our home qualifier against Moldova. The expectations were high but we trailed Moldova 3-0 at half-time. It rained all match but we made a contest of it in the second half. We scored two goals and I'm pretty sure that if there was still some time left, we would have made it 3-3. "The victory over Hungary was special. It lifted the entire nation because Malta had not won a competitive match for years." Under Fitzel, Malta had their usual dose of poor results but one match that left the Czech really deflated was the 4-0 reverse to Norway in 2007. "To be honest, I expected that Malta would get more bad results than positive ones but I was focusing mainly on the team's performance," Fitzel said. "Our worst display was the 4-0 defeat away to Norway. We were useless that day." Fitzel was widely expected to see out his contract with the MFA but health problems forced him to resign in July. "The decision to stand down was mine," Fitzel stressed. "Because of my health condition, I knew that I couldn't handle three international matches in a short space of time. I spoke with the MFA president (Joe Mifsud) and we immediately decided to bring in a new coach. "I had surgery in the Czech Republic in August and so far, the results are all positive. I'm still recouping my strength but I feel much better now." Not the type to shy away from criticism, Fitzel has often voiced his frustration at the poor level of domestic football. His spiky comments may have given the impression that Fitzel disliked all things Maltese but he begged to differ. "Malta has given me a lot," he remarked. "The MFA gave me the chance to coach at senior level. Back home, I worked with the U-21 team but being in charge of a senior side was completely different. The scrutiny on the team was high. I enjoyed working with the players here. I think we developed a good relationship. "I believe we changed a lot of things during my time as national coach. We altered our approach to the game and tried to play football on the same level as our opponents. Over the past year, I've also introduced younger players to give them experience. "At club level, when I came to Malta four years ago, most of the teams still used the libero but now everyone is playing with four at the back. From a tactical point of view, I believe that Maltese football has improved a lot because the level of coaching has gone up. "As technical director, I had the opportunity to attend various UEFA seminars and met distinguished coaches, like Luiz Felipe Scolari and Fatih Terim. I tried to use the knowledge and experience I gained to improve things in Maltese football." In the 2010 World Cup campaign, Malta were unable to scale the heights achieved during the Euro 2008 qualifiers, gaining only one point from a maximum of 30 and not scoring a single goal. "Our group was one of the toughest," Fitzel said. "Some of our performances were positive but nothing came our way." When the MFA announced that John Buttigieg was to succeed Fitzel, the Czech pledged to devote his energies to his role as technical director once he had completed his recovery from surgery. True to his word, Fitzel reported back for work in late September but, after only a couple of weeks, he informed the Malta FA of his intention to stand down even though his contract had another two months left to run. "I wasn't happy in my job," Fitzel explained. "After John Buttigieg became national coach, he also took over other technical areas like the youth set-up and coaching and he's got his own ideas. I felt uncomfortable and I didn't want to stay just for the wage. I'm not that kind of person." So what's next for Fitzel? "No doubt, I want to stay in football but I haven't decided what I'm going to do next," he said. "I have some options. I've received a proposal to become the technical director of the Czech FA but I'm still undecided. I know it sounds like a good opportunity but I want to be sure that I will have the freedom and power to change things if I accept this job. "My experience in Malta has helped me as it enhanced my understanding of the technical director's role. I also have contacts with agents in other countries as I'm also interested in moving to club coaching. "One thing I'd like to do in the future is to set up a consultancy agency." As our interview drew to a close, the focus inevitably shifted back to Fitzel's Maltese legacy. "I'm pleased that with the help of the players and coaches, we made a genuine effort to lift Maltese football," Fitzel said. "I will never forget the time I spent here. I fell in love with this country and the people and I plan to spend some of my holidays here in future."